Now that the floodwaters have receded and the last of the many closed roads are finally open again, I find myself reflecting on a recent photograph of a long ago abandoned railroad. 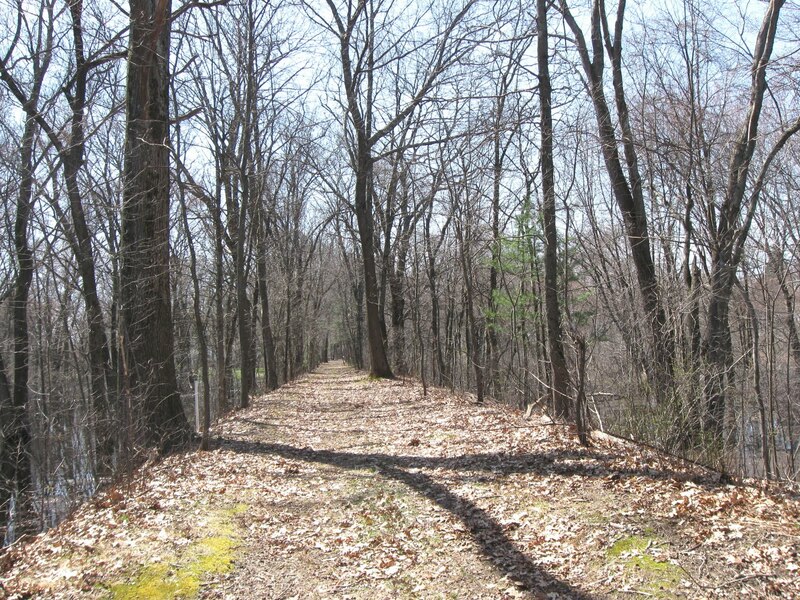 The roadbed pictured at left was built 131 years ago in 1879 and was known as the Reformatory Branch of the Boston & Maine Railroad. The last train ran down this line sometime in early 1927. 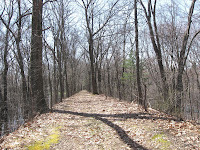 The photograph was taken on April 3, 2010 within a day or two of the highest water levels seen around these parts in quite some time, yet the roadbed is high and dry. After 83 years of sitting idle, this roadbed looks to be in perfect condition. How is it that the original builders, way back in 1879, knew almost exactly how high to elevate the roadbed above the Assabet River in order to withstand the "Hundred Year" flood? Clearly they built it to last and they succeeded. Unfortunately the same cannot be said for much of our more recently built infrastructure. Many of the major commuter roadways were rendered useless for weeks. Several communities found their wastewater collection systems overwhelmed with stormwater and, left with few options, elected to bypass treatment and discharge directly into the rivers and bays. So if the folks that built this roadbed were around today, what advice would they give us in building a better infrastructure?